The Sixty Four Yogini temple was built in 9-10 century A.D. 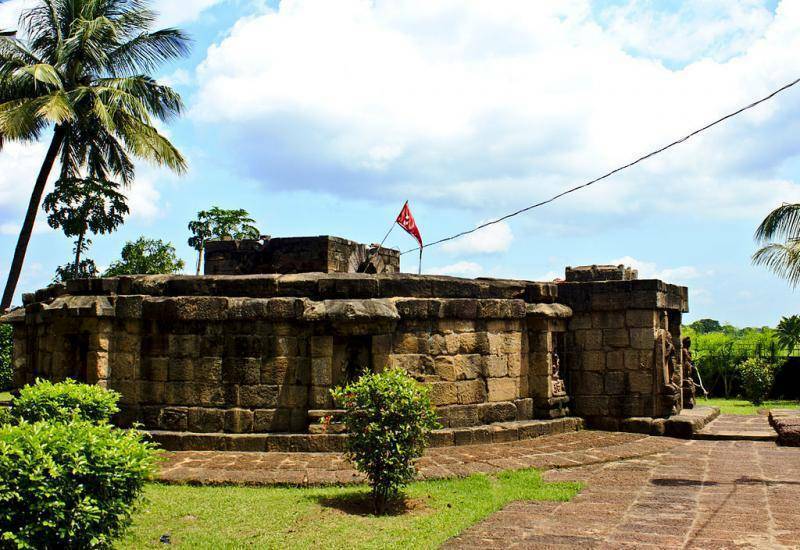 The Yogini temple is located at Hirapur, which is at a distance of 15 km from East of Bhubaneswar. The temple displays 64 incarnations of goddess Bharvi carved on the walls of the temple. It is one of the four-Yogini temples all over India, which practices mysterious arts of tantra. The structure of the temple does not have a roof; folklore believes the Yogini goddesses would fly out and roam around at night. The temple attracts a large number of devotees during the festivals of Durga Puja and Dussehra.